01.09.2016. Old Trafford, Manchester, England. Specsavers County Championship. Lancashire versus Somerset. 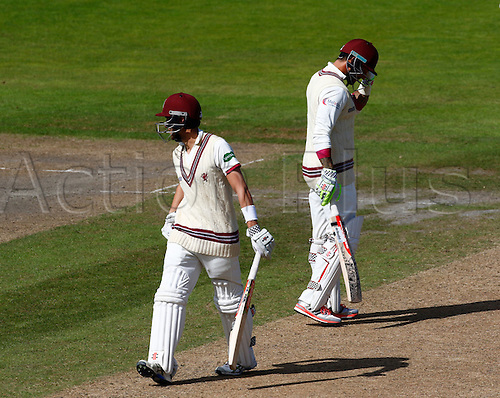 Peter Trego (right) and Ryan Davies shared a partnership of more than 200 for the 8th Somerset wicket. Somerset started the day on 339-7.